Disney’s D23 expo has been going strong all weekend, slowly leaking details about everything Disney, Marvel and Star Wars. All of those franchises are about to collide in Disney Infinity 3.0, which will be launching in less than two weeks. Kotaku reported on the fact that Kingdom Hearts 3 would feature a Big Hero 6 world, but according to reports from D23 you’ll be able to dress Mickey in his classic Kingdom Hearts get-up and equip any figure in the toy box with the legendary keyblade. Pretty spiffy. Kingdom Hearts aside, there were plenty of other Infinity news. - Special LightFX Figures will be released and feature light up lightsabers. - There will be a new Marvel playset called “Marvel Battleground”, which will have 4 player online co-op. - Newly announced figures include Finn and Rey (Star Wars: The Force Awakens), Peter Pan (do I really need to tell you? ), Spot (The Good Dinosaur), and lastly Judy and Nick (Zootopia). 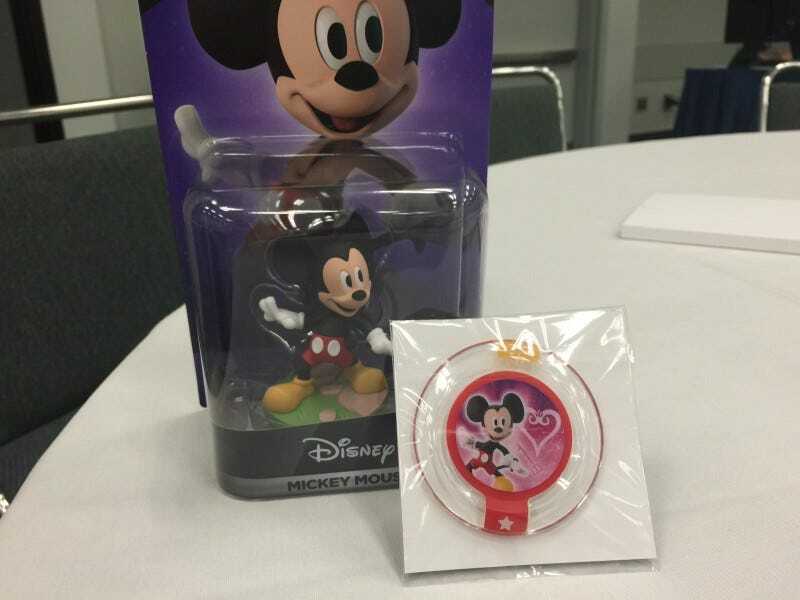 - Many new elements from Disney Parks have been added to the Toy Box.